The final days of the James-Younger gang are meticulously detailed in this riveting account of the group's most daring robbery. Led by the introspective Cole Younger (Cliff Robertson) and the nearly psychotic Jesse James (Robert Duvall), the much-glorified desperadoes set their sights on the biggest bank west of the Mississippi. 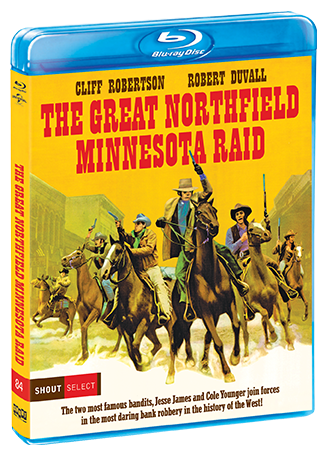 The gritty action and dialogue, based on documented fact, chronicles the robbery from Younger's decision to storm the seemingly impregnable depository, through the gang's grueling trek through Minnesota, right up to the precision-planned assault. 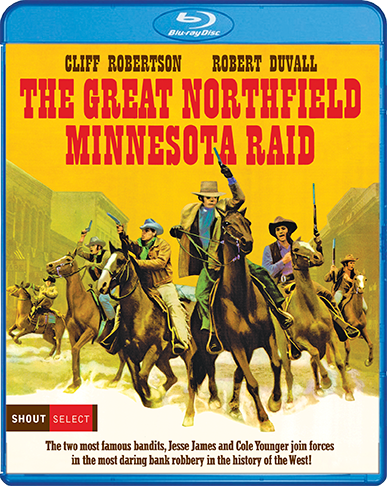 Written and directed by Philip Kaufman (The Right Stuff), The Great Northfield Minnesota Raid is a taut and grounded take on one of the Old West's most infamous tales.